FINALIST FOR THE PULITZER PRIZE • NATIONAL BESTSELLER • A bewitching story collection from a writer hailed as “the most darkly playful voice in American fiction” (Michael Chabon) and “a national treasure” (Neil Gaiman). 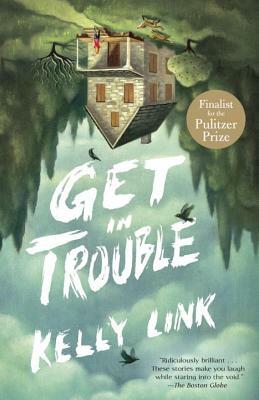 MacArthur “Genius Grant” fellow Kelly Link is the author of the collections Get in Trouble, Stranger Things Happen, Magic for Beginners, and Pretty Monsters. She and Gavin J. Grant have co-edited a number of anthologies, including multiple volumes of The Year’s Best Fantasy and Horror and, for young adults, Monstrous Affections. She is the co-founder of Small Beer Press. Her short stories have been published in The Magazine of Fantasy and Science Fiction, The Best American Short Stories, and Prize Stories: The O. Henry Awards. She hasalso received a grant from the National Endowment for the Arts. Link was born in Miami, Florida. She currently lives with her husband and daughter in Northampton, Massachusetts.